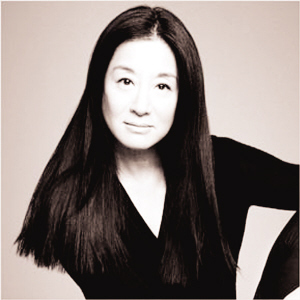 Vera Wang, arguably the queen of red-carpet dressing, didn’t go into the fashion business with stars in her eyes. She knew about its unglamorous (乏味的) side, the hard work and, especially, the risks. And there were plenty of doubts along the way. But every time one person—and, she says, it really just takes one—understands what she’s trying to express with a certain design, she’s reminded of the reason why she became involved in fashion, and why she’s still in it: there’s an indefinable (难以说明的) payoff that comes when she’s helped a woman look and feel her best. “To all the women and men I have dressed, thank you for your trust,” she said after accepting the award from her mentor (导师) and former employer Ralph Lauren. Wang also has two lower-priced lines. She’s developed a fragrance business and home-goods collection. And she has a branded flower bouquet business. Her mentor described Wang as “a unique young woman filled with a rare passion for fashion.” “In all the years since, I have watched her drive, dedication (奉献) and talent shape an entire world inspired by her own life—first as a bride, then as a wife and mother, but always as a strong and beautiful woman,” Lauren said.